Rogue One is a new chapter of an old story, which works amazingly and ties in Star Wars: A New Hope seamlessly. Disney had a hard task of making sure that this film was a success and it was. I must admit, I was dubious prior to watching it. The audience is given an insight into how powerful the empire had become and the galaxy’s feelings of hopelessness were made evident. 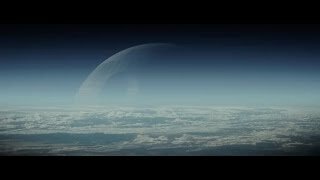 This movie proves how important finding those plans (plans to build the Death Star) was and ultimately saved the universe – a pretty big deal. Without this mission, the galaxy would have been ruled by the Empire forever. Over the course of this film, you begin to see that it is about more than right vs. wrong or good vs. bad. People in the rebellion have done bad things as well as people in the Empire. They follow orders and don’t have much compassion for the people they are killing and there is also amongst those of the Empire. This movie shows how amazing CGI has become as they managed to re-create a person who has been dead for 20 years and bring him into a live action movie. I didn’t expect Peter Cushing to even appear in the film and I definitely didn’t expect him to be a supporting character throughout. It was incredible, it blew my mind! They also managed to capture Carrie Fisher at a younger age at the end of the movie which worked as well. It didn’t work as well as the Peter Cushing re-creation, but it was still very effective. When K-2SO went out in a blaze of glory finally with a blaster of his own. Bodhi Rook just had a turn of bad luck when the grenade was thrown into the ship and shows how fast things can change on the battlefield. Baze Malbus got killed by a storm trooper with a grenade. He looked out and saw the ship explode and realised he was not going to survive. He then said at least he will be with his friend who had just died. Jyn and Captain Cassian sadly died together on the beach when the death star blew up the city. There was added emotion to this because they had an attraction to each other. The third act battle was very good. It was very strategic. There were three parts to the battle: There were the three main characters trying to get the plans, there were the other characters on the ground fighting the storm troopers and there was the X-wing battle trying to close the shields to the planet. I liked the calls for the X-wing attack. They used the Star Destroyers well to make them crash into each other. Darth Vader had a couple of cool scenes, particularly his entrance and introduction in the film. He was in the movie for the perfect amount of time in my opinion. I thought that the uses of the Death Star were good and it was effective not only seeing the true extent of the explosion from space but also watching the horrible scene of all of these people actually dying on the ground. When you see it being used in Episode 4 it’s just a big explosion and you don’t see the effect on the people. In this movie with modern effects, you can be on the surface and it is like a mix of a nuclear bomb and tsunami. The ending to Rouge One is amazing when the rebels are working really hard to get the death star plans to Princess Leia that would eventually go into R2-D2 and they would die for those plans. Darth Vader was amazing in that scene and very scary – he appeared truly villainous. You felt for those soldiers that were being killed. They were slipping the plans through the doors at the last minute before passing them along. They reach Leia and she says that there is “hope”, which is an Easter egg to the title of the fourth episode of the Star Wars movies, ‘A New Hope.’ The movie finished on a sad but positive note and finishes a couple of minutes before Star Wars episode 4 begins. I loved all of the characters and I thought they all worked well together. I loved the darker tone of this movie and how it reconceptualises the notion of right and wrong.